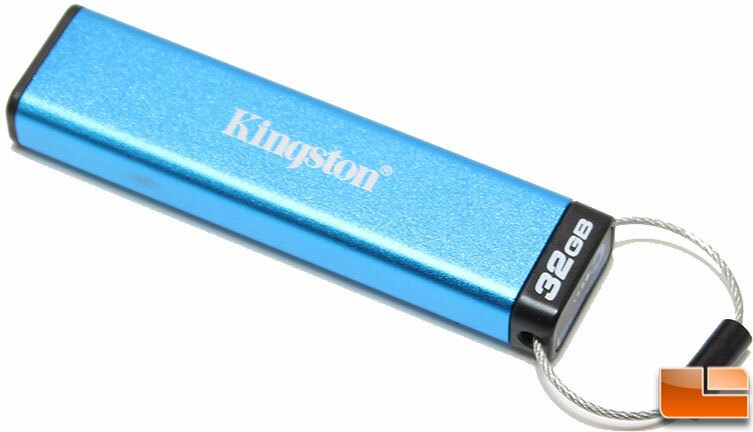 Kingston is one of the most well known memory and USB flash drive manufacturers around the world. They are constantly keeping up with technology and foreseeing the needs of users. Recently at CES 2016, they announced their latest flash drive, the DataTraveler 2000. The DataTraveler 2000 has several interesting factors that might make it one of the best secure flash drives around. The first is that it includes AES-256 in XTS mode and is hardware based rather than software based. 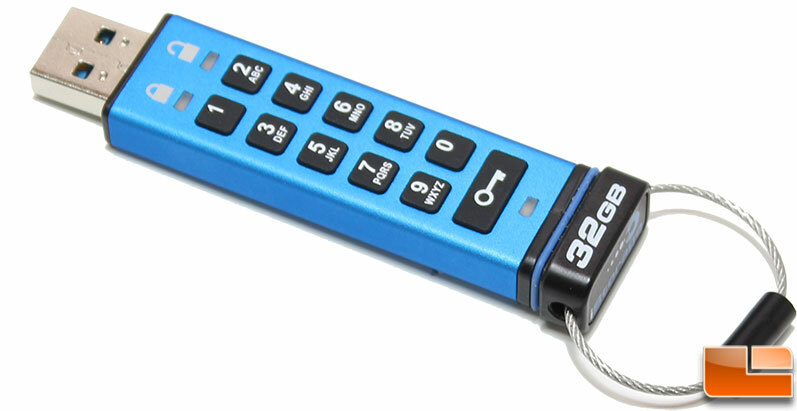 Next, while some hardware encrypted flash drives partition the drive and use software to unlock the main data portion of the drive, the DataTraveler 2000 uses an alphanumeric keypad to unlock the drive. Finally, it includes an automatic data wipe after 10 failed PIN entries. Let’s take a closer look at this flash drive before seeing what else it can do and how it performs. 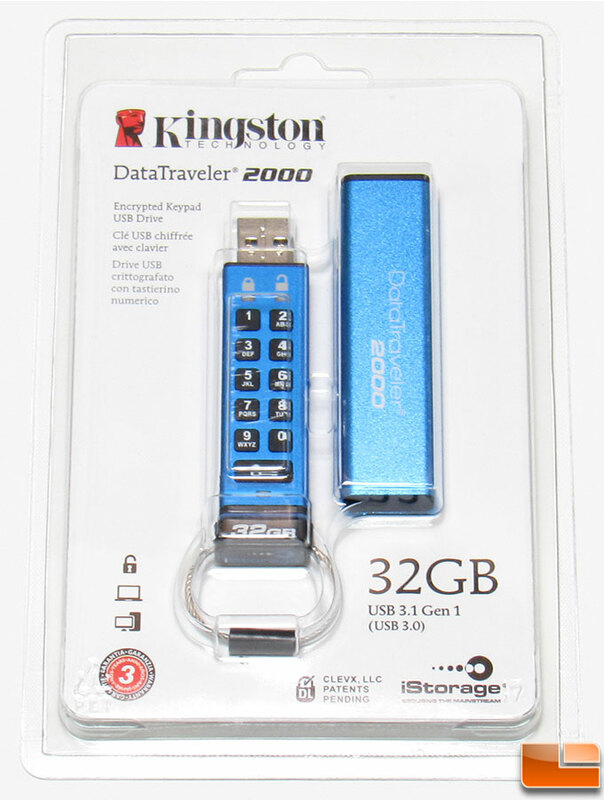 Like most of Kingston’s flash drives, the DataTraveler 2000 is packed in a standard hard plastic package that allows you to see exactly what you are purchasing. The front provides a nice view of the drive, cover and the specific model. While the back of the package provides some information on the drive, and tells you where to find more information. 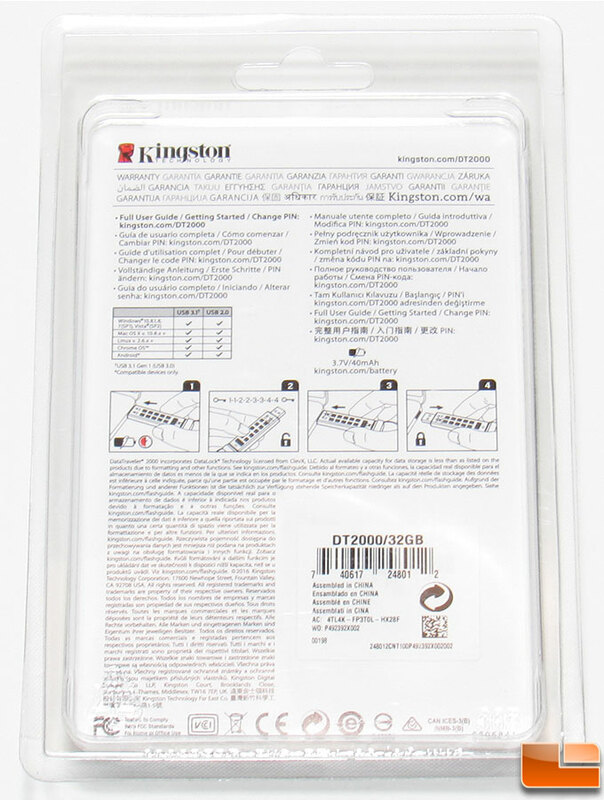 I was expecting a little user manual inside the package, however it wasn’t located there, you have to download it from Kingston’s website, or have a little basic knowledge of the DataTraveler 2000 to get the user guide off the drive. 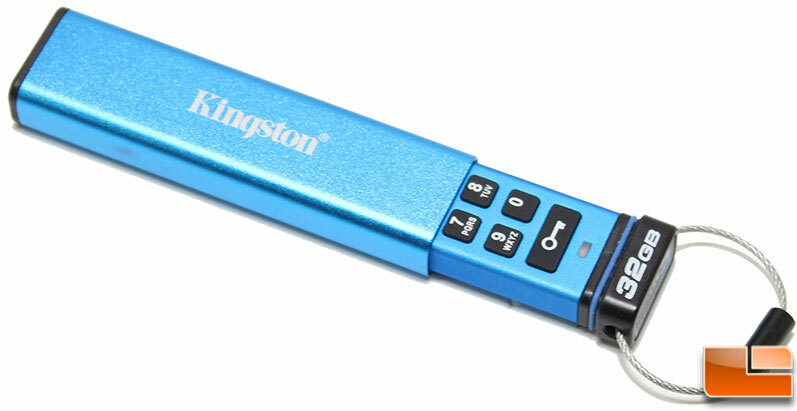 The Kingston DataTraveler 2000 has a metal casing that has been coated in a rubberized finish. This is a soft and comfortable coating, which provides a nice high end texture. In addition, it will help protect the drive more than just metal can. There are a total of three LED’s on the drive, two of them near the USB connector indicates the drive status of either Locked or Unlocked, and is also critical for adjusting the PIN and setting the Mode. The other LED by the KEY button indicates drive access and power. Between the bottom LED and the end of the drive (where it says 32GB) is a little rubber ring that will help keep the drive protected once it is inside it’s outer cap. At the very end of the drive is a pre-installed steel twisted lanyard that can be removed by twisting off the black locking mechanism. The cap is rather simple, a metal tube that the flash drive slides into. Unlike some caps, this one doesn’t matter which way it goes on. Simply slide the drive into the cap and once it is all the way in, the rubber ring at the end of the flash drive provides a good water proof seal. The DataTraveler 2000 isn’t very large, inside the cap it measures 3.25″ x .75″ x .4″. It is easily pocket size, and would be perfectly comfortable on a keyring. Let’s see what Kingston says about the DataTraveler 2000. Let’s take a brief look at how you can use the DataTraveler 2000 before moving on to doing some performance testing.